fabulous motherhood: Mummy's Wishing Wall by Philips Avent ..
Mummy's Wishing Wall by Philips Avent ..
Owh you must saying, Mommy Nadia ni gila Philips AVENT ker ape? Owh yes I AM! Haha, now this gonna be the 2nd entry about Philips AVENT attended event last Nov. But when I heard about Philips AVENT, I suddenly feel so touched. Owh I rindu sgt nak stock up ebm with the AVENT Via Cup, I missed to make homemade baby foods with AVENT 3 in 1 blender, their toddler meal set, pacifier, bottle!! Owh no nampak sgt I missed to have baby again. Soon InsyaAllah..
Ok, am not gonna talk about Philips Avent product today, but this is more fun! What else..CONTEST!! 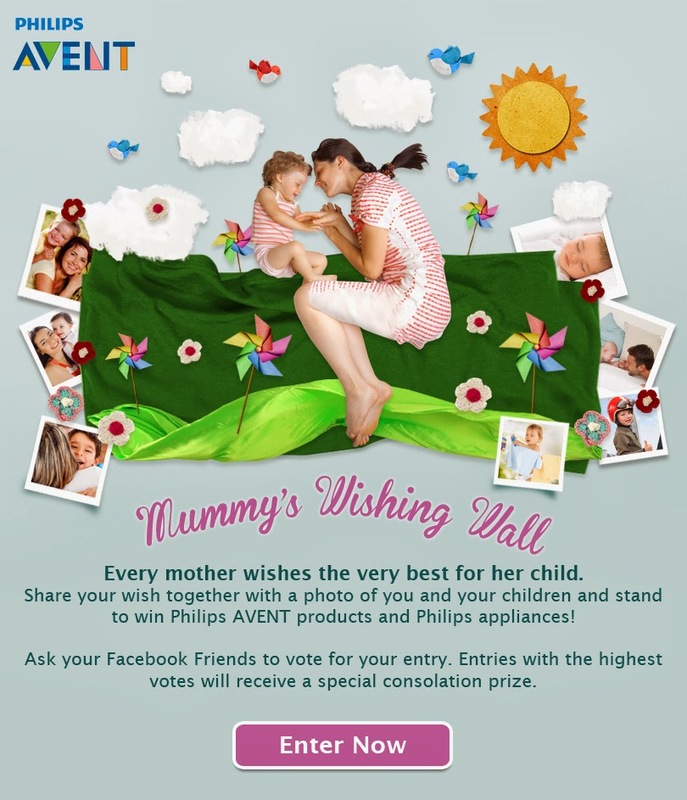 Yeap, calling all contest freaks to join their newly launched Philips AVENT Mummy's Wishing Wall contest! Wohooo!! This contest is to reward Philips AVENT Malaysia Facebook fans with an opportunity to win Philips AVENT and Philips appliances worth up to RM 699 via a photo submission contest. Yeap, you hear me right! Simple sgt kan. Love it! !This contest also in conjunction with their 30th Anniversary celebration this year. Happy 30th Anniversary Philips AVENT! 1. Become a fan of the Philips AVENT Malaysia Facebook Page. 2. Participate in the contest by submitting a wish for your child. 3. Share your wish with your readers/followers and get them to vote for you. 4. Win awesome prizes from Philips AVENT worth up to RM 699. Visit Philips Avent Malaysia facebook page. Be one of their fan. You will be diverted to this lovely apps.. The best thing about this contest, you don't have to crack your head to participate the contest. Its what we have since they were born. Right? All you need to do, to share your wishes at Philips AVENT wall and stand to win cool prizes! First thing first, fill up your particular as well as you child's details in the entry form. Upload your child/children picture (not more than 5MB) and include a wish relevant to the selected category in no more than 500 characters which includes the hashtag #PhilipsMumsWish, and hit the submit button! Don't forget to share with your friends and get them to vote for your entry via Facebook, Twitter and Instagram too. Use #PhilipsMumsWish! Great thing is One (1) Grand Prize worth up to RM699 will be given away for each category! Winners will be selected based on the creativity of the photos submitted and their wish. You may submit up to 5 photos! Ok, start digging your children photos, and submit today! 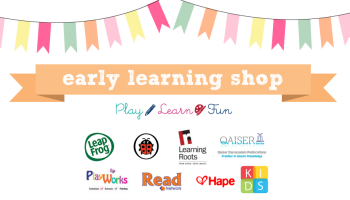 and ends on 30th March 2014! • Winners who are located within Klang Valley are advised to pick up the prize from our assigned showrooms. Locations will be informed accordingly. Friso Gold "Our Today Moments" Contest..
Key Words with Peter & Jane at FM Lil' Shop ..